Frank Borzage directed over 100 films during his 40-year career, most of which centered on his idealized vision of romantic love. Borzage's earliest films, mainly westerns and melodramas, were made for the Thomas Ince studio. His first film, Pitch O'Chance (1915), in which he also acted, is one of the few from this period that have survived. He later worked at a number of different studios before joining Twentieth Century-Fox where he made his reputation with such silent films as Lazybones, which emphasizes the religious theme that is subtly present in many of his films. 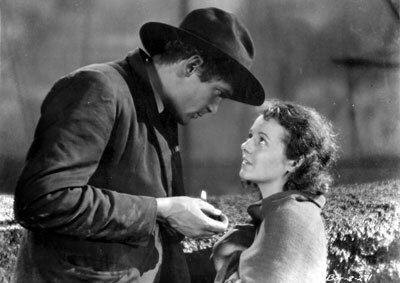 7th Heaven and Street Angel, which made stars of Janet Gaynor and Charles Farrell, are examples of Borzage's pioneering method for eliciting sensitive performances from his actors. 7th Heaven earned him the first Academy Award ever given for Best Director and also garnered Oscars for Janet Gaynor as Best Actress and Benjamin Glazer for Best Writing-Adaptation. He also won a second Oscar for his 1931 film Bad Girl. Borzage's last film, The Big Fisherman (1959), starring Howard Keel and Susan Kohner, was adapted from Lloyd C. Douglas's novel about the life of Saint Peter. All of Borzage's sound films have survived although at least 46 of his earlier films are thought to be lost. Of the 31 films shown in the Borzage retrospective organized by the UCLA Film & Television Archive, eight have been preserved by UCLA including After Tomorrow, Young America, Liliom, the 1933 version of Secrets (which marks Mary Pickford's final screen appearance) and History is Made at Night. Other films have been restored by the Museum of Modern Art in New York and the Library of Congress.